The Sun-Sub is a submersible pump and is the most popular Mono solar pump. Available, with either a stationary or GPS Tracking array, ranging from 150 Watts up to 2400 Watts, this water pump can produce very high flows and discharge pressures up to 150m. Mono Sun-Sub solar pumping systems have helped thousands of farmers and remote villages solve their water supply problems. They have replaced windmills or diesel powered pumps on remote bores providing economic, trouble free and reliable water. 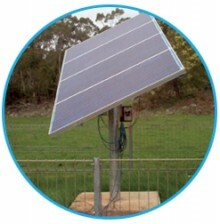 The Mono Sun-Sub solar pump provides its own power eliminating the need for diesel fuel or AC power. The system is easily automated to turn on or off controlled by float switch, pressure kit or built in electronic pressure control with float valves. Once your tanks & troughs are full, the pump will turn off, conserving water and reducing wear on the pump. The pump will turn itself back on again when more water is needed. All Sun-Sub systems are supplied complete with pre-wired solar modules, array frames, pump element, submersible motor and solar motor controller. The entire package is easy to assemble and all electrical connections are fitted with plugs & sockets so electrical connections, do not require an electrician. Sun-Sub solar pumping systems can be further enhanced with the use of GPS Tracking solar arrays, AC PowerPak generator interfaces and Sun-Dial telemetry systems. The PC (Progressive Cavity) helical rotor pump element used in borehole applications is proven to provide maximum water output even in bores containing silt or iron oxide, and low pump speed means extended rotor and stator life in abrasive bores. The Sun-Sub fits in a 4” bore and its little brother the SB3 fits in a 3” bore. 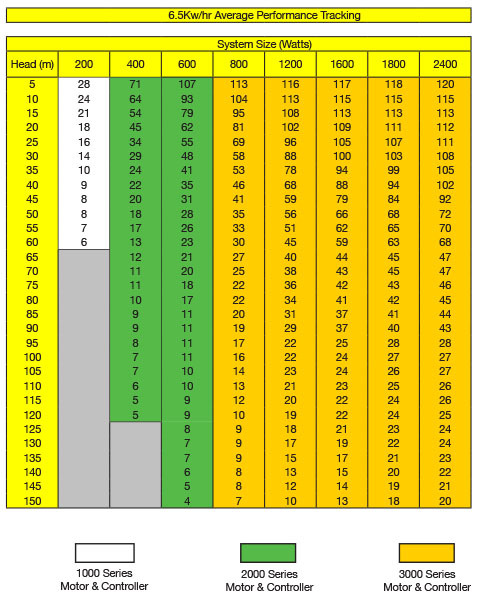 The rate at which water is pumped can be limited to suit the water source.